‘Deborah Emmanuel is a Singaporean writer, musician and actor. Her theatre and television work has been with companies such as TheatreWorks and Disney. 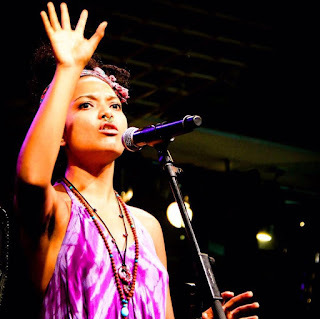 Her poetry has featured at things like TEDx Singapore, The Singapore Writers Festival and the Queensland Poetry Festival. Her first collection When I Giggle In My Sleep was published by Red Wheelbarrow Books early 2015. Her second book Rebel Rites is non-fiction about her year in Singapore prison. It will launch end 2015. 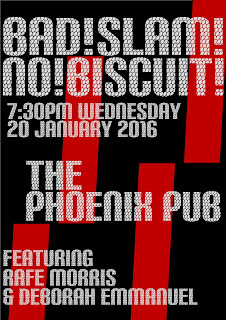 Join the Master of Conflict the Score Adder Andrew Gayland and the Sacrificial poet insider the Phoenix Pub. 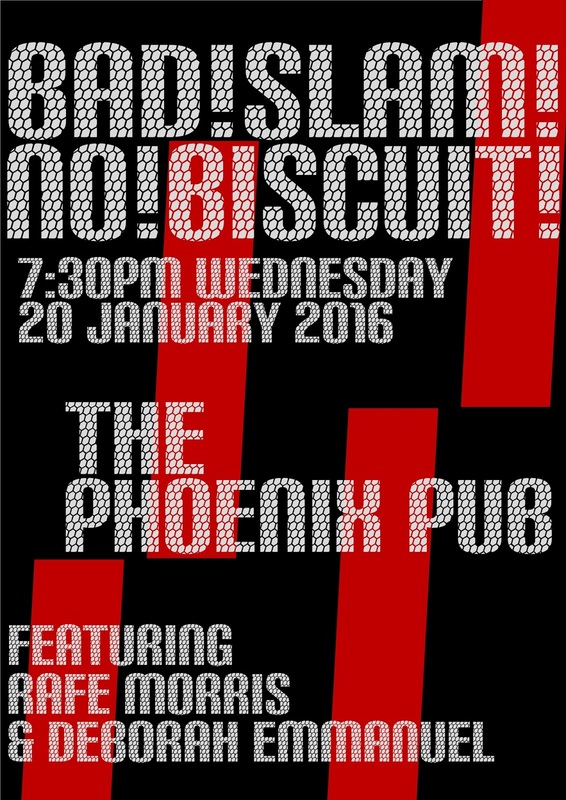 Sign(-)up from 7:30pm poetry slam at 8pm prizes glory feature acts and remember no props no music and your original material.